OMG, I cannot believe that it actually works! I have got some new grown hair around my hairline now! Also, the smells is AWESOME! I have applied this diligently for a couple of months, upgraded from the normal to intense version. I definitely have more baby hair on the temples which I have concentrated on; friends have commented on that too. 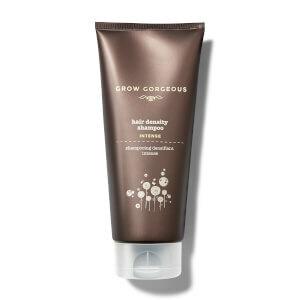 I am also been using Grow Gorgeous 12-in-1 cleansing conditioner concurrently. I am not sure if this with the hair growth. Have been using this for a couple of months now, but I see no visible improvement. However, I have rather severe hair loss and was not really expecting this product to work miracles. On the plus side, this is relatively cheap compared to other hair serums. Plus it smells nice and does not leave your scalp feeling sticky at all, which is a major plus, as most other hair serums I've tried leaves this sticky feeling. Bought this, having read lots of rave reviews on this site and others and I am still waiting for the amazing results. Have used it for a month and absolutely no difference at all. I will continue until the bottle is finished in the hope it will improve. I also find the pipette thing rather annoying as it is difficult to see whether you are distributing the drops efficiently. Was SOOOO hoping to see a change as I have suffered from thinning hair for a few years now, but no. Oh well. 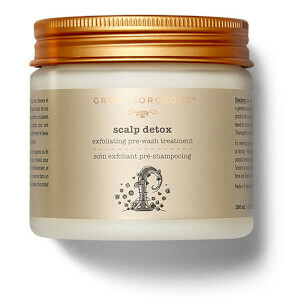 Absorb very quick, feel like there is nothing at all on your scalp. but since so have to work very quick to spread it over before it dries. I thought this product had a horrible smell, it actually made my allergies act up and I had to take an antihistamine. It does not wash out easily either. Very flowery and overpowering and it lingers. 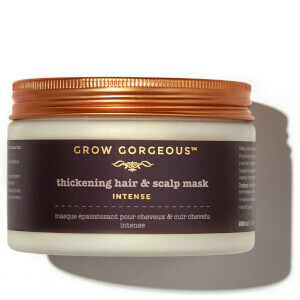 As such I could only put on my hair twice, so I have no idea if it helps hair grow. I would like to try it if they made a scent free version? When I saw this intense serum. I bought it immediately without any hesitate. Still the nice smell with light yellow color. Hope my hair will grow like the grass in spring,LOL!! !